This audio book is intended for anyone who has difficulty losing weight and has experienced that diets don't work. 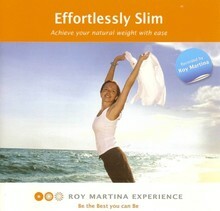 This audio book helps you to let go of emotional blockages and beliefs, which supports you to lose weight effortlessly. Diets don't work. You might lose some weight after some real effort, but when you go back to your normal eating habits,you will regain twice as much. The reason why it is so hard to lose weight lies in the fact that your unconscious mind doesn't really want you to lose weight and it wants to hold on to your current weight. The unconscious mind immediately responds to this weight loss by slowing down your metabolism, and your body starts to burn fat slower. This audio book will change that response. The unconscious mind will be reprogrammed to prevent you from regaining the weight you have lost. The unconscious mind becomes conscious and that is why you become slim effortlessly, and you will maintain your natural weight.